Man is man because he is free to deliberate, to make decisions, and to choose between alternatives. The best decisions, however, are those that are borne out of knowledge - the decisions that rely upon the pros and the cons of a matter rather than the emotional response to a current or prospective situation. We at A. Badar Nursing Home believe in providing our patients treatment options of their choice. Thus it is imperative that our patients are aware not just of our wide range of surgical services, but also the various methods that can be adopted for the treatment of their particular problems. It is said in the medical circles that a knowledgeable patient makes the work of a doctor that much easier. This is our attempt to provide our patients with the information that might help them in making informed decisions. 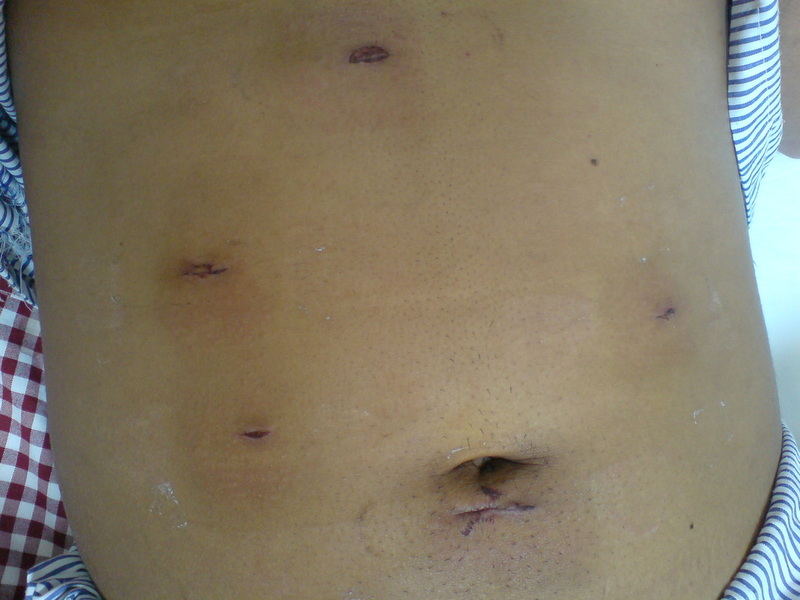 Laparoscopic surgery, also called Minimally Invasive Surgery (MIS), Bandaid Surgery, Keyhole Surgery is a modern surgical technique in which operations in the abdomen are performed through small incisions (usually 0.5–1.5 cm) as compared to the larger incisions needed in laparotomy (open surgery). Keyhole surgery uses images displayed on TV monitors for magnification of the surgical elements. The comparison between non-invasive and open procedures is an obvious point of discussion for us because even though decades have passed since the advent of non-invasive surgery, we often find that several doubts persist in the minds of our patients regarding the safety, surety and cost-effectiveness of such procedures. Thus it becomes imperative to discuss non-invasive procedures vis-a-vis the traditional open surgeries. Open Surgeries are performed by cutting open the abdominal wall of the patient to reach the abdominal cavity. Several decades back open technique was the only option available in surgical treatment. Even with the advent of key-hole surgery, in the absence better techniques and advanced, high-definition instrumentation, open surgeries, with all their associated risks and post-operative problems, were the safest route to recovery. However, the advanced, fine-tuned non-invasive surgical techniques coupled the introduction of high-precision, high-definition instruments, have turned the surgical practice on its head. Antibiotic load on a patients body, period of hospitalisation, period of recuperation, extent of surgical shock and trauma and many such factors have undergone a sea of change since the 90s. A number of high-risk surgeries, like those on obese patients have come under the low-risk category. 1 .Reduced blood loss, which reduces the chance of needing a blood transfusion. 2. Reduced exposure of internal organs to possible external contaminants thereby reduced risk of acquiring infections. 3. 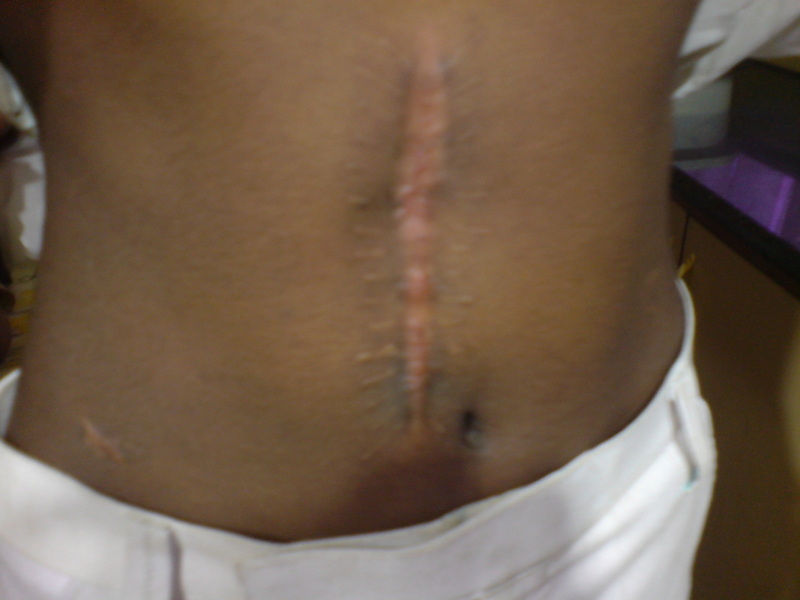 Smaller incisions, which reduce pain and shorten recovery time, as well as result in less post-operative scarring. 4. Although procedure times are usually slightly longer, hospital stay is less, and often with a same-day discharge which leads to a faster return to normal life. 5. Less pain, requiring less pain medication.